Originally a modest one-story cottage built about 1867 by Phocian Tate. Sold in 1887 to A. Senftenberg, merchant, who added second story and porches with Victorian ornamentation. 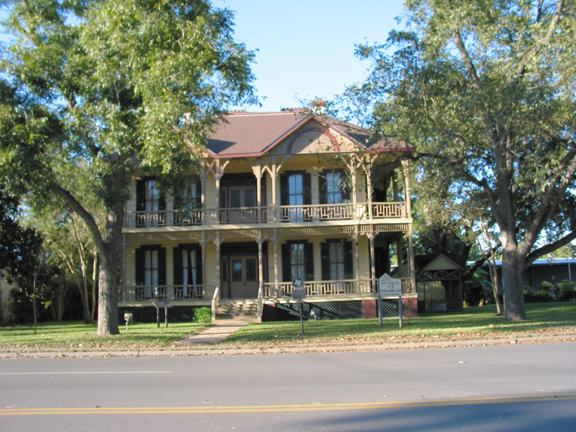 In 1900 Kenneth Brandon bought home and extended northeast section. Most of early features still remain. Of interest is basement built of Columbus-made brick. In 1968 Magnolia Homes Tour bought house to restore it as a museum, with period furnishings.